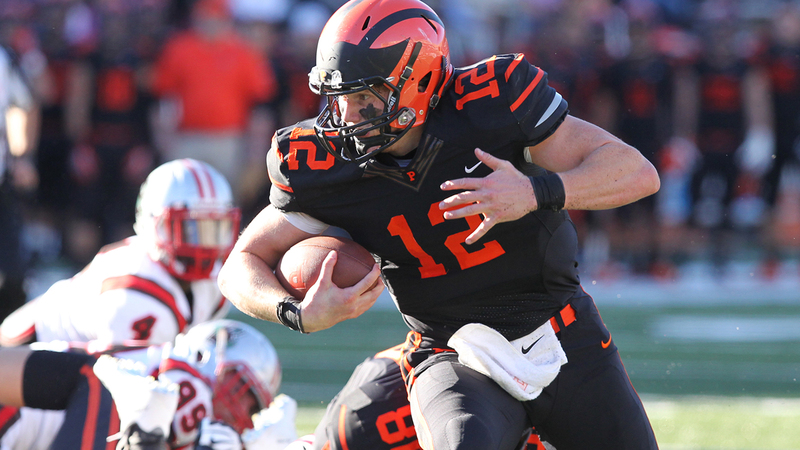 2017 In A Sentence: On October 21st, Princeton sat at 5-1 after a 52-17 throttling of longtime rival Harvard – but then the wheels came off the momentum truck, as the Tigers lost their last four games, giving up an average of 39 points per game during that stretch. 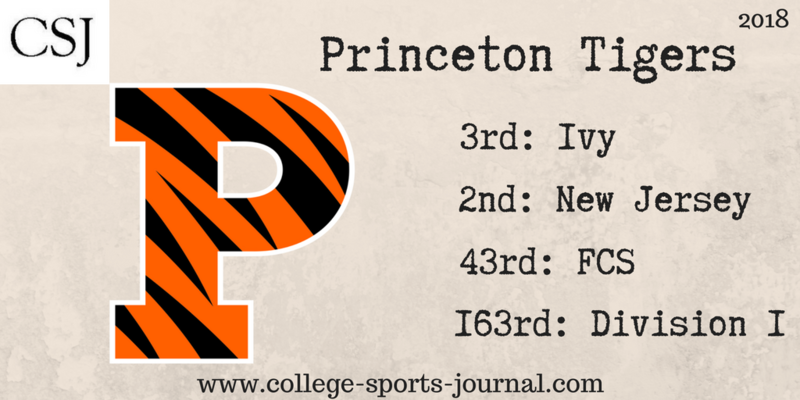 Biggest Shoes to Fill: A ton returns for the Tigers this season, but head coach Bob Surace does need to technically replace QB Chad Kanoff, who finished his Princeton career with a stellar statistical season, throwing for 3,474 yards and 29 TDs in 2017. Key Player: Even though Kanoff graduates, senior QB John Lovett, who had offseason surgery last year, is expected to step right back in and reclaim his starting spot. In 2016, all Lovett did was guide the Tigers to an Ivy League Championship and scored 30 TDs, including 20 on the ground. Tiger fans and NFL scouts alike will be paying very close attention to see whether Kanoff’s mobility is where it was before his offseason surgery, but if he’s 100% back to where he was, Lovett has the skill set and the supporting cast to have the Tigers’ offense be tops in the Ivy League once again.